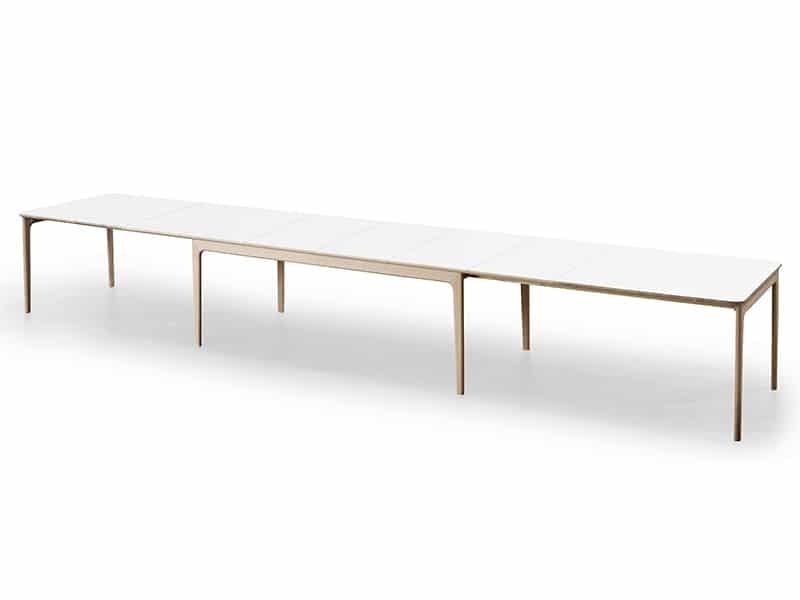 The dining table Skovby #27 is a new interpretation of the classic eight-legged Skovby table #05. 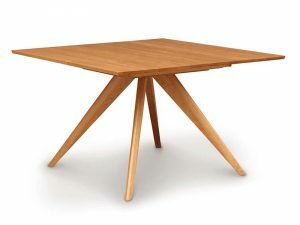 The design of the table is retroinspired but at the same time it has a modern expression. 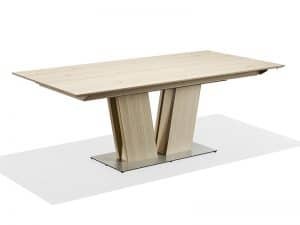 The rounded off corners of the tabletop and the interplay with the double legs give the table a vividness but also a visual tranquility. 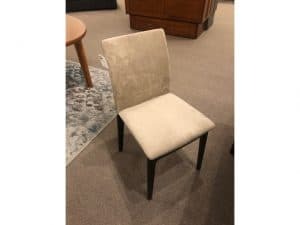 The proportions are wellbalanced. 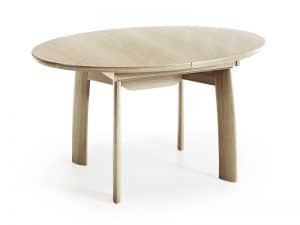 The table #27 has room for six people in its basic position. 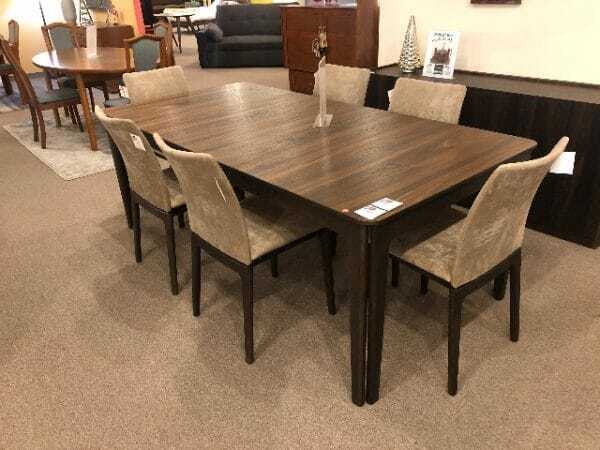 It also includes three extension leaves stored under the tabletop, but can extend with an extra three leaves giving a total seating capacity of 20 people. 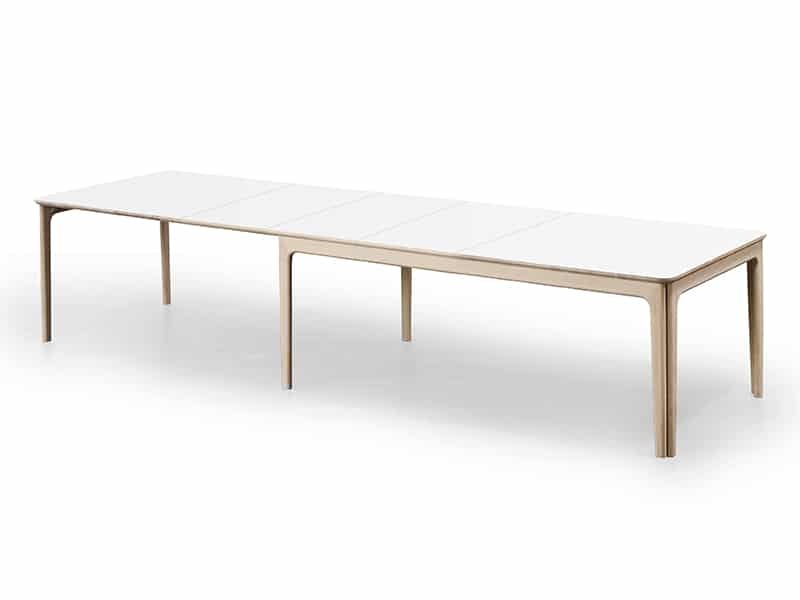 Skovby #27 dining table is available with a table top in white laminate and legs in oak – oil natural or – oil white, in smoked oak, black wengé or walnut oil natural. 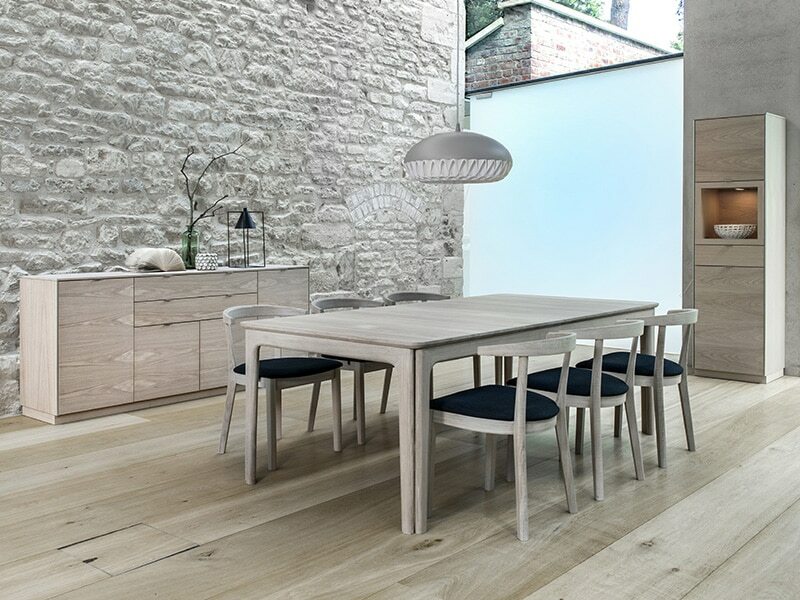 Furthermore, the dining table is available with a black nano laminate table top and legs in either oak oil white or walnut oil natural. 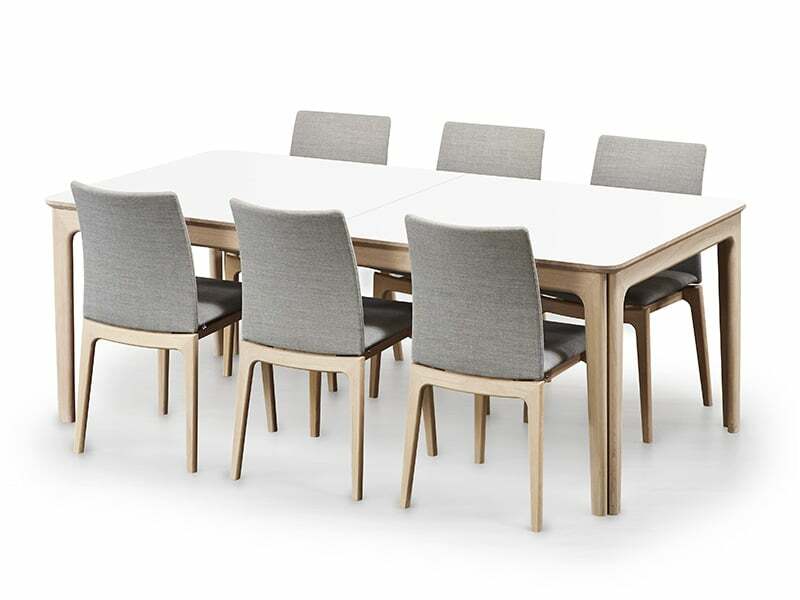 The dining table is also available in a smaller version, Skovby #26.